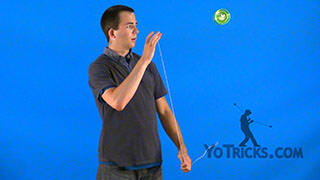 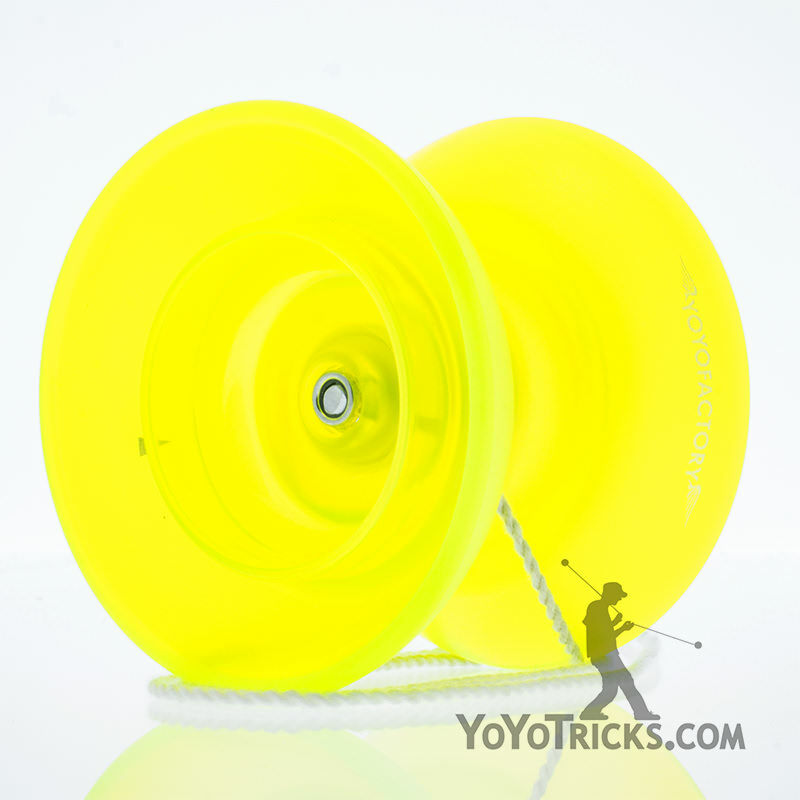 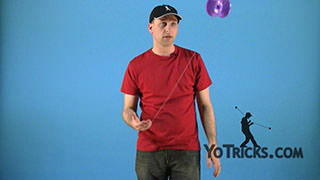 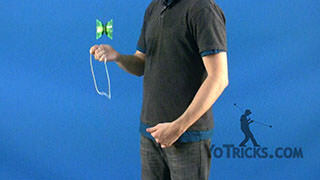 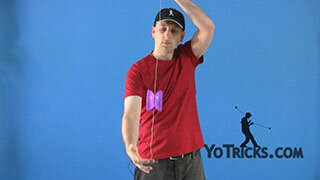 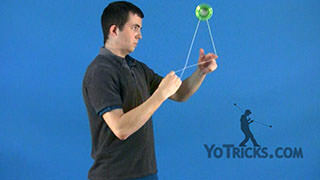 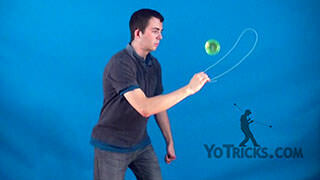 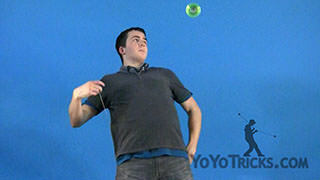 Learn the Leg Orbits 4A Yoyo Trick. 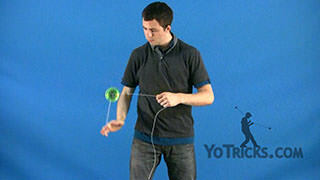 Leg Orbits Yoyo TrickThis trick is called Leg Orbits, and it looks like this. 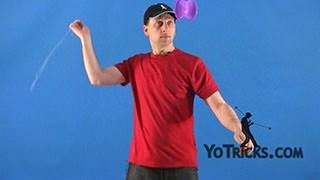 An Orbit is any time a yoyo goes around you body, part of your body, it is very similar to a trick we have already learned, just the Barrel Rolls (4A), and in this case instead of the yoyo going around your finger, it’s going to go around your leg. 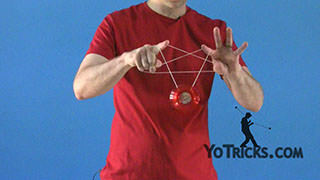 When you are first working on this trick probably the easiest way to do it is to just put your leg right over the yoyo. 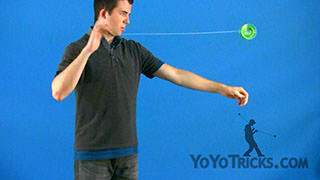 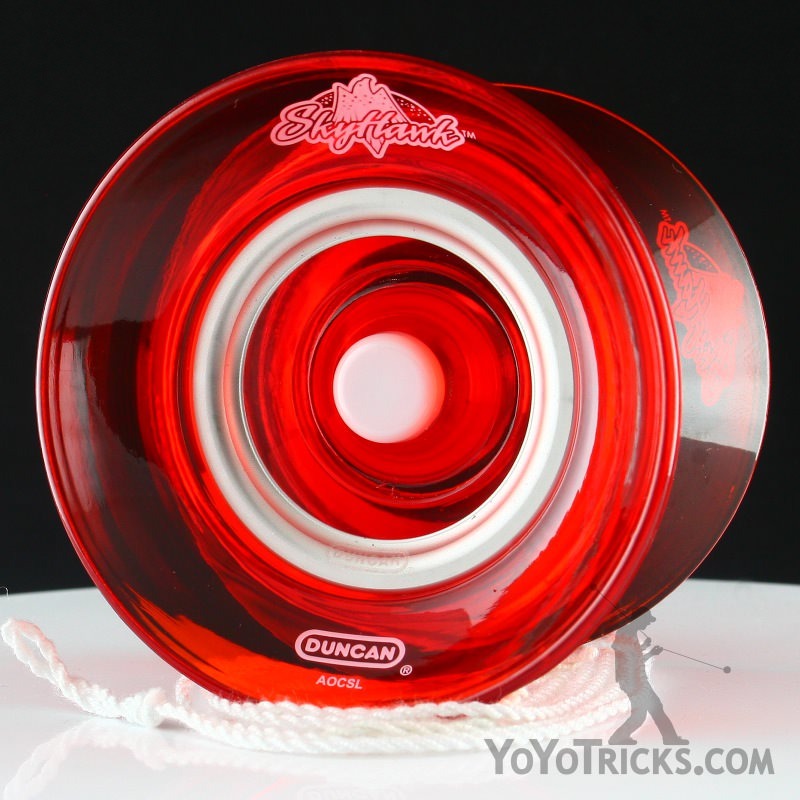 Just like the Barrel Rolls you are going to swing the yoyo back and forth. 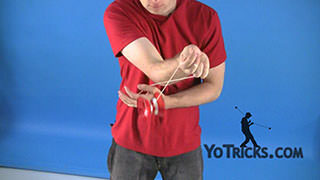 When it gets under your opposite hand you are just going to pull up a little bit and that should cause the yoyo to go right over your leg, and of course you have to catch it with your yoyo hand. 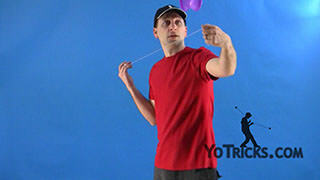 Then you just bring it back, and that is pretty much the trick. If you want it to look a little more interesting, what you can actually do is you can whip the string underneath your leg, instead of just moving your leg over the top of the yoyo. 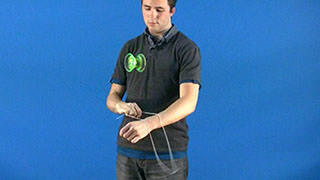 That looks like this: you are just going to pop it up, whip the string underneath your leg and then you can actually bring your hands together and pull apart to grab the string and open it up. 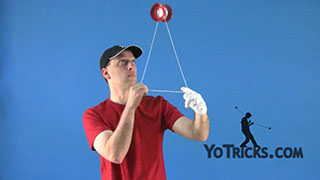 If you just want to work on on the whipping motion without worrying about the orbit, that is probably a good idea. 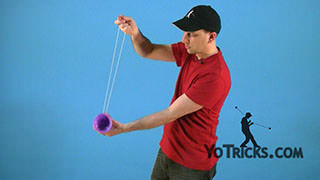 All you need to do is toss the yoyo up and whip the string around. 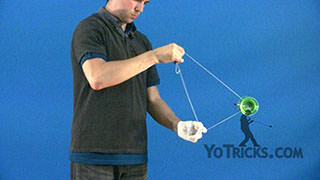 You are going to bring your hands together and grab the string and then pull your hands apart, just to catch the yoyo. 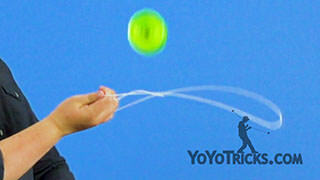 When you want to bring it back into the Orbit, it is the same thing except you whip the string right under your leg. 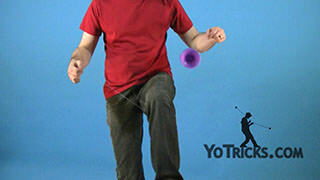 You can actually do the reverse motion to get the Orbit back from under your leg. 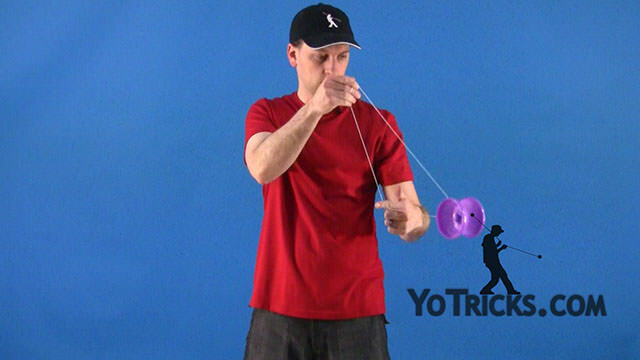 All you are going to do, again you start it, you get it going and you are actually going to toss the yoyo up on the outside of your body let go of the string and then bring your hands together again and open it up to catch it. 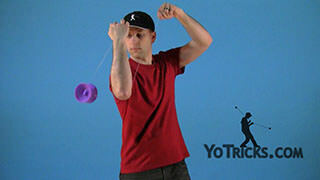 It is just the same concept and it kind of completes the trick where whip under and then whip over. 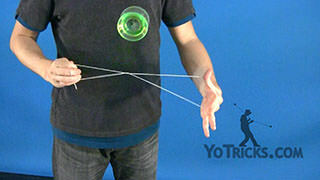 That is just one variation that you can do with the Orbit. 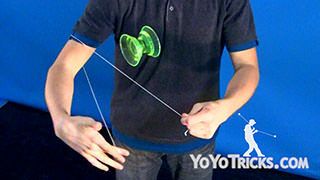 That works with a lot of different Orbits, so it is a good idea to learn it for this trick. 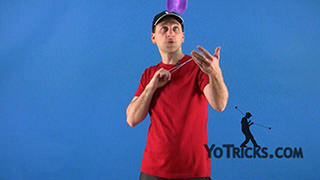 Once you get it down it is not too hard.